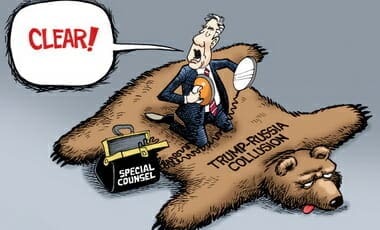 By now we all know that supporters of President Trump understand that the "Russian-collusion" theory that has Dem's and the MSM breathless with anticipation to prove in order to either discredit and de-legitimize the President or actually impeach him is a fairy-tale conspiracy weighed in the balance and found wanting. Wanting for evidence that is. Trump supporters badly want the charade to end and the shadow of investigation to be removed. But now we see a third group, our intelligence agencies, who may just have a separate motive as to why let this charade continue to play out, while knowing beyond the shadow of any doubt that the Trump administration had nothing to do with Russia. -W.E. Each Narus Insight device can monitor and record around 1,250,000 emails each second … or more than 39 trillion emails per year.